Amore is the Italian word for ‘love’, but it is also related to ‘passion’, which Italians use commonly to emphasise the love for food and wine. This business is run by the Perella family, originally from the village of Picinsco in Southern Italy, with care and commitment. But the word ‘Amore’ has been chosen also as the name for the restaurant to homage the owner’s wife, as she generally uses this word to refer to her husband when, as he believes, she is in ‘a good mood’. Lovely food, friendly staff. Great! Impressed that I can have gluten free pizza and pasta there too. Nice one! Great restaurant for a family meal. Really enjoyed the food and the service was brilliant. Lovely wee restaurant bit cramped upstairs tables very close but food lovely and staff/service excellent will be back thanks! We had a lovely meal on Wednesday. Service was fast and the staff were very attentive It was reasonably priced and we will certainly recommend Amore to our family and friends. Card machine not working and didn’t have glasses on to read sign on door. A little embarrassed when bill arrived to be told machine broken. Had to have guest pay. Maybe could have been informed when shown to table by waiting staff. I have been to the restaurant many times now,and each occasion has been excellent. I would recommend Amore to friends and family. Friendly staff and wonderful food. A great combination! 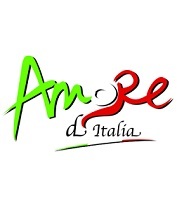 Have recommended Amore to many people and everyone has loved their visit to the restaurant. Food was absolutely delicious. Service was quick. Staff were very nice. Prices are great. Great meal! Lovely food and fast service.